THRILL BMX offers a premium BMX race frame loaded with modern day cycling technology.  The THRILL frame has a triple butted hydro formed tube set that is hardened to T6 for stiffness and durability, with features like that you know THRILL are serious about it’s frames. Thrill have also introduced an oversized head tube(tapered) on the 2016 series frames, for additional stiffness and stability, which are still compatible with a standard BMX fork 1-1/8”, steer tube. Together with a PF30 bottom bracket to increase drive line stiffness and power transfer to the rear wheel, another added benefit of using a PF30 bottom bracket is a reduction in weight of up to 18%. Again with the PF30 bottom bracket you can still run your 24mm axle cranks as the frame is still compatible with all other 24mm crank axles. And to top it all off the rear drop outs are compatible with 10 and 20mm rear axles. Our frames are made from triple butted hydro formed tubing hardened to a T6 for stiffness and durability. We also added an oversized head tube for additional stiffness and stability, which is still compatible with a standard 1-1/8”, steer tube. Together with a PF30 bottom bracket to increase driveline stiffness and reduce weight up to 18%. PF30 will still be compatible with any other 25mm crank on the market. Our frames are compatible with 10mm – 20mm axles.